DO NOT CLICK "OK" To Change The Cartridges Or Your Printer May Start Rejecting Compatible Cartridges. Press The Cancel Button And Use The Controls In The Printer's Menu System To Change The Cartridge. Epson Has Recently Started Offering Firmware Updates To Printers To Prevent Them From Working With Aftermarket Products. If You Printer Requests To Update The Driver Or Firmware, Do Not Select 'OK' As This May Cause Your Cartridges To Stop Working. 1. 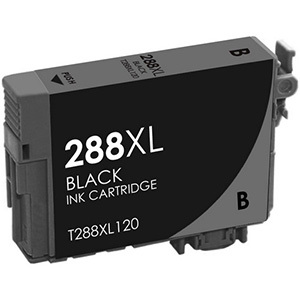 Completely Remove All Of The Cartridges And Reinstall The Cartridges Into The Ink Cartridge Holder In The Correct Order One At A Time, Matching The Colored Label Guide Along The Top Of The Ink Cartridge Holder. 2. Push The Ink Cartridge Down Firmly. It Should Click Into Place. 3. If This Does Not Clear The Error, Turn The Printer Off And Then Back On Again. You May Then Get The "Original Equipment Manufacturer (OEM)" Warning Asking If You Want To Continue Using A Non-original Cartridges. Click Yes And Carry On With The Normal Printing Procedure. You Can Hard Reset Your Printer By Following These Steps. 1. Press The Power Button And Turn The Printer Off. 2. Unplug The Power Cord From Wall Outlet Or Power Source. 3. Hold Down The Power Button 2 Minutes. 4. Plug The Printer Power Cord In.Then Turn The Power On.